Posted January 16, 2015 to Uncategorized by: admin. 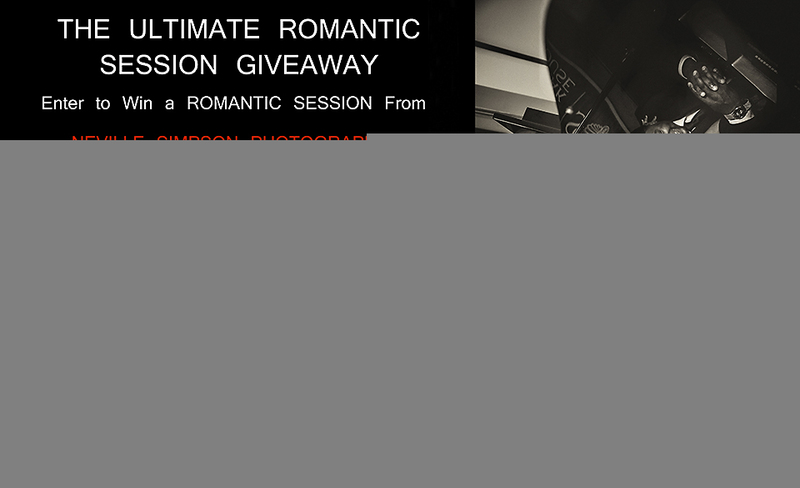 Blessed with an AMAZING gift of capturing love in an Artistic and Passionate way like none other, Neville wants to give YOU (and your Valentine) the chance to win a FREE Romantic Session! Describe your perfect Romantic Session. We are looking for creativity and originality! Make it personal and include all details (location, activities, clothing, etc.). Whether big, small, quirky, sweet or silly… as long as it is significant to you and your love we want to hear it! Please visit and “Like” the new Neville Simpson Photography Facebook page for updates and announcement as the contest progresses. The top 5 entries will be posted on NSP blog and Facebook Page for voting! A Grand Total Giveaway Value of over $1500 – ALL FREE! Couple can live anywhere within the United States. Neville will fly to you on his dime! Entries will be accepted until February 8th, 2015; after which the top 5 choices will be published and voting for a winner will begin on February 14th (Valentine’s Day) and the winner will be announced on March 9th. Couples agree to allow NSP to blog the images of the session and share the experience via the website. Winner’s must redeem their session within 6 months of notification. Polling between the top five contestants will take place online; results will be made public throughout the competition. Posted January 16, 2015	to Uncategorized	by: admin. I would love to enter but who do I email the entry to? Hi Jazmine, Thanks for your interest and for letting us know we missed adding the email address. I just added it. Thanks much!! !